With the Arctic freeze that just rolled in, it’s not too late to take some precautions that can help protect your home and your family, potentially avoiding cold weather damage. 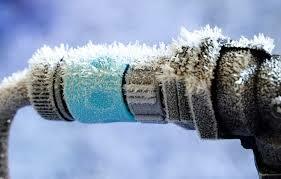 Keep your pipes warm. Burst pipes = big dollars! Wrap the pipes in the cold parts of your house in insulation, and open kitchen and bathroom cabinets to allow warm air to circulate around the pipes. Also, let water drip slowly from the faucets to help keep the water flowing. Protect the outside of your house. If you have time, clean your gutters so water doesn’t back up and freeze. Check downspouts and make sure water will be diverted away from your house. Trim any low-hanging tree branches that can freeze, become brittle, snap and damage your house or power lines. Use weather-stripping or caulk to seal drafty windows and doors. Check your roof. If a lot of snow accumulates, your roof could collapse — especially flat roofs or the roof over porches and additions. You shouldn’t have a problem with average accumulations or very dry snow. But if heavy snow starts to build up, consider getting a roof rake with a long handle so you can remove packed snow while you are on the ground. Going on the roof to shovel it yourself could damage the roof (and possibly you, too).